Self-proclaimed genius inventor Alex is convinced that his little brother Jonathan is evil. The kid never shuts up. He's a klutz, and he drools on his pillow when he sleeps. Jonathan's specialty, though, is sticking to Alex like glue -- and sticking his nose into his big brother's business. That's why Alex has to leave Earth and fly so far away that no one will ever be able to find him. 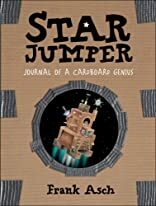 Using cardboard, duct tape, old odds and ends and his amazing scientific imagination, Alex builds Star Jumper, a spaceship that will deliver him from his rotten little brother forever! It's a plan only a cardboard genius could ever hope to pull off. But Jonathan has other ideas -- and a secret that ultimately brings forth Alex's most brilliant creation ever! On the 2009 MNL list. Alex hates his little brother and is desperate to get as far away from him as possible. 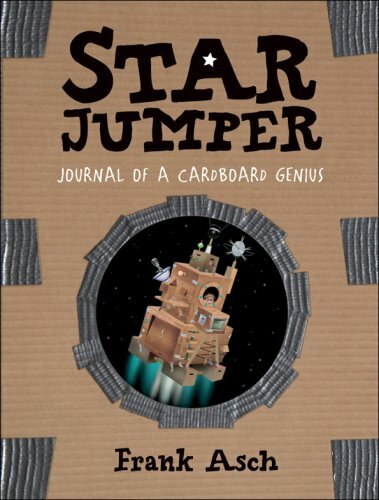 He builds a space ship out of cardboard & misc. items laying around the house, along with a space suit, a gun that shrinks things, a duplicator, an atom slider & much more. Funny, fast moving & so full of immagination.